Solid win kicks off new season | ENTOURAGE BASKETBALL INC.
Every new season brings with it new challenges, opportunies, options. 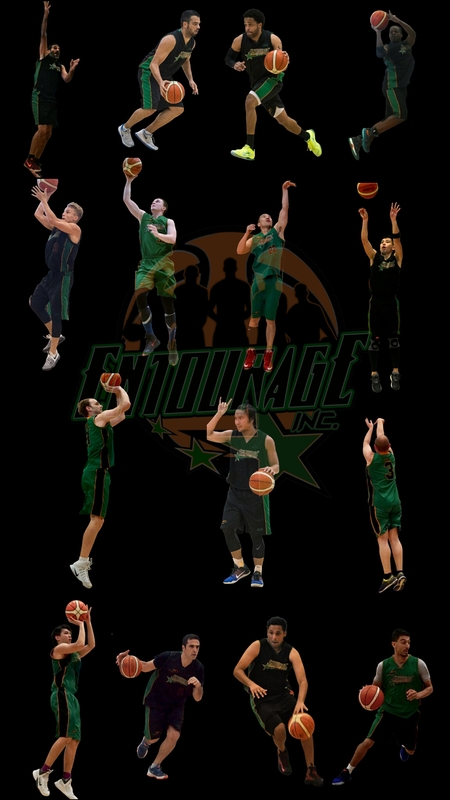 The players of Entourage Basketball Inc. have been honing their skills since late May, itching for the chance to compete. The first taste was a warmup game against the current SBL ProAm champs, Supras, last Thursday. The Supras veteran squad won by 12 points in a cool, calculated showcase to tie up the preseason for team E.B.I. E.B.I faced team BackToSchool for the first game of Crossover League’s second season at the top notch Sports complex of the Singapore University of Technic and Design. Oddly, both teams were not given any time to savour the new court as the referees only allowed one(!) minute of warmup time. This showed in the 1st quarter as EntourageBBall forced passes and took rushed shots, resulting in multiple unnecessary turnovers. Team BTS kept within spitting distance by playing a compact 2-1-2 zone defense, and capitalizing off their opponent’s mistakes. The boys in green dug in and began relying on their inside presence, Sebastien and Dave were fed a steady diet of passes by guards Terence, Chi and Ronnie, resulting in points in the paint. Highlight of the first half was veteran guard Evan ending the first quarter with a buzzer-beating three pointer…. from halfcourt, a shot he’s made at least once every season the last three years, displaying shades of current NBA MVP Steph Curry. Player-coach JJ, fed up with the teams’ struggles to contain the opponents drives to the basket, shuffled his lineup, relying on a 3-guard rotation and demanding more effort on the defensive end. This was the difference maker as the E.B.I. guards took control of the game with relentless fullcourt pressure on team BTS. New guard Nourdin teamed up with JJ, Evan, Chi and Sinan to chase down all opponents in their sights, forcing bad passes and launching fastbreak opportunities. The 2nd half also saw the resurgence of the youngest member on the roster: forward Alex went on a scoring spree in the paint, showing flashes of the athleticsm he readily displays in practice. Back to School could not keep up their high pace for the entirety of the game, conceding defeat in the later stages of the 4th quarter. EntourageBBall won while not playing anywhere near peak performance but the experienced players weathered the first half onslaught of slashing guards and long 3-point shots to grab the 12 point victory. Fuel of the team’s fullcourt afterburner defense in the second half. Chi, Evan, Nour and Ronnie harassed the quick BTS guards into committing a lot of turnovers. Showed much trust in frontcourt players, making entry passes, turnovers be damned, and regularly cutting to the hoop. When shots drop; look out! Strong on the boards against a scrappy but undersized Zone defense. Nervous start to game then dominant on both ends of the floor. Seb, Dave, JJ and Alex scored, defended well and kept the energy up till the final whistle. Still hesitant at making plays for the guards and a few easy shots missed. Helpside defensive lapses. Sluggish start to the game kept the opponent nipping at EntouragBBall’s heels until early in the 4th quarter. Help defense must be improved, rotations were off against BTS penetration. Passing against Zone defense was solid but not enough shooting to spread the zone out this time. Great defense in the second half sealed the win. Good win to start the new league.